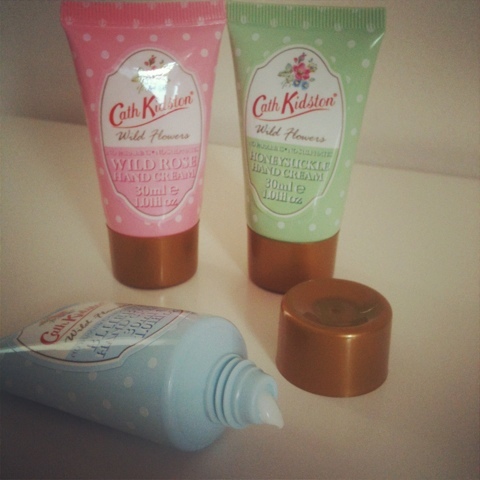 I picked up these little beauties from John Lewis, they're 'Wild Flowers Assorted Hand Creams' and only cost £6! Each one is 30ml, so perfect for the handbag, holidays, weekends away or if your feeling really generous then you could split them up and give them as presents! The 'wild flowers' scents are wild rose, bluebell and honeysuckle, personally my favourite is honeysuckle. They all have very strong scents, there's no denying they smell of flowers, so if you don't like strong scents these may not be the hand creams for you. 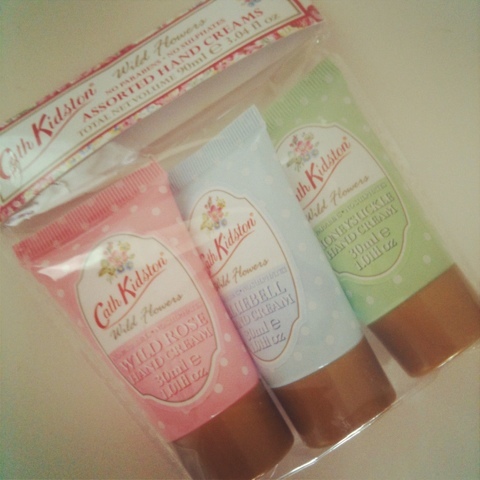 I really like the texture of these hand creams, they soak in quickly and their scent stays for hours! 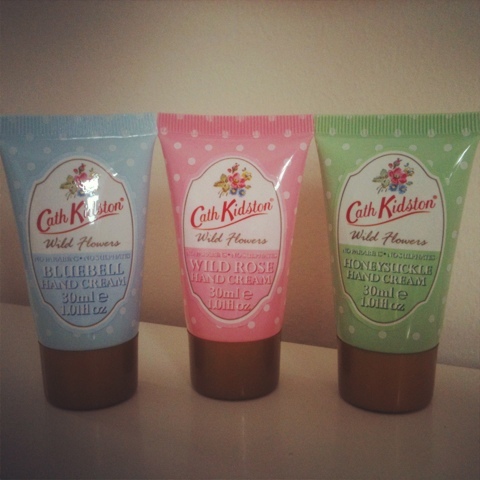 Very moisturising and such cute packaging, typical Cath Kidston! 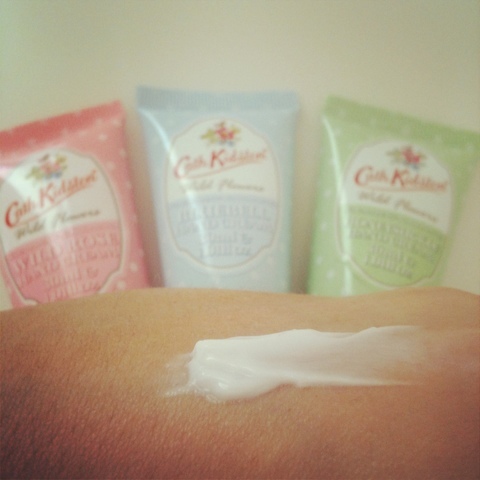 Are you a fan of the Cath Kidston toiletries?